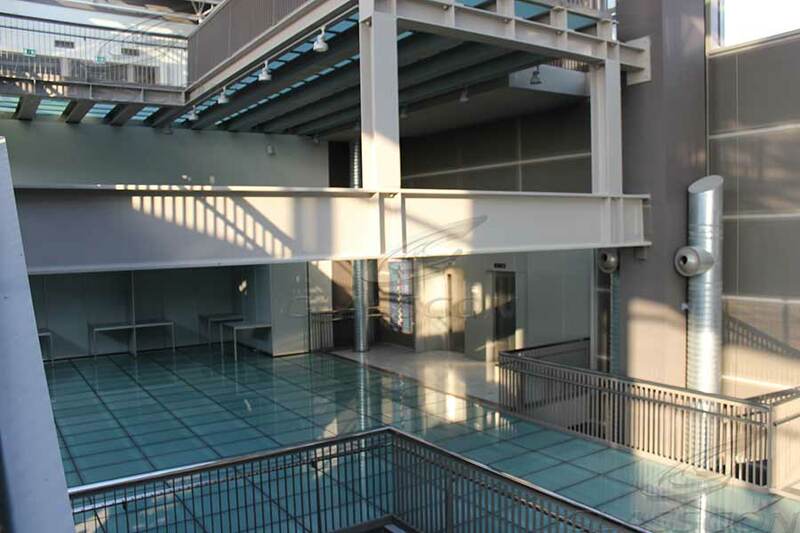 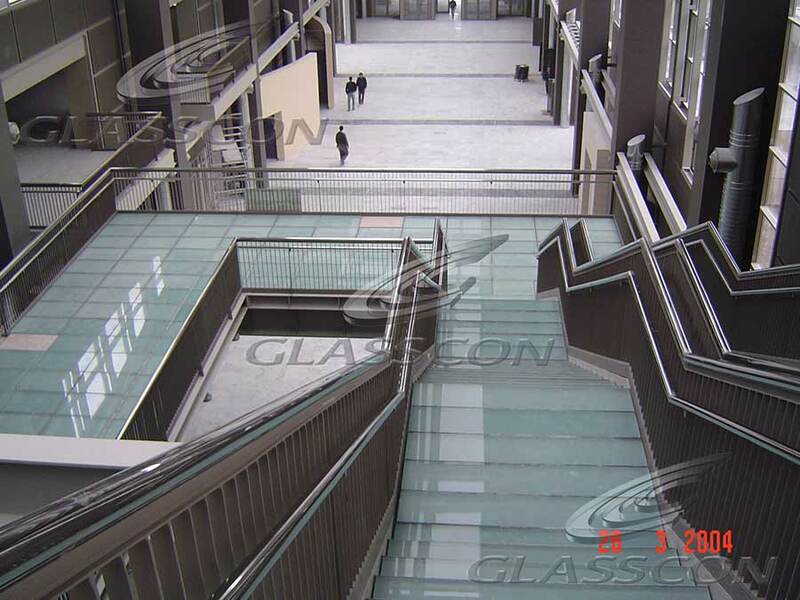 GLASSCON designed, manufactured & installed 6.650 sqm of glass floors, walkways, brigdes structural glazing curtain walls etc. 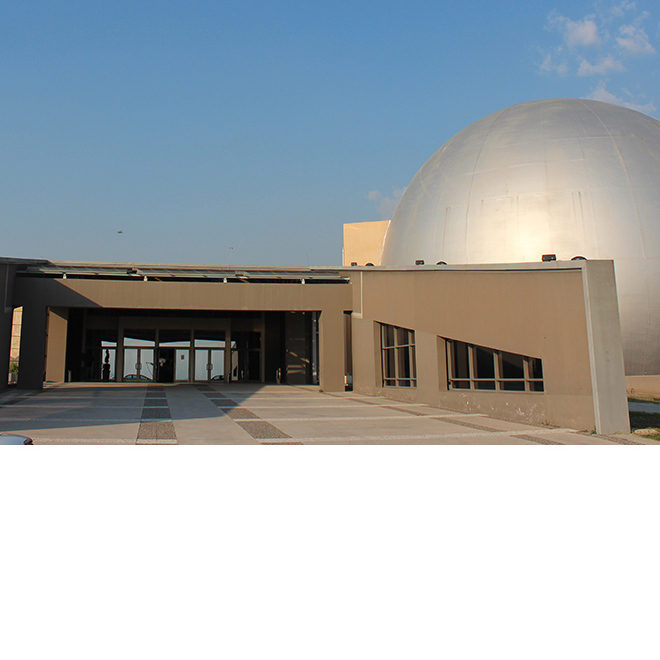 of a new planetarium. 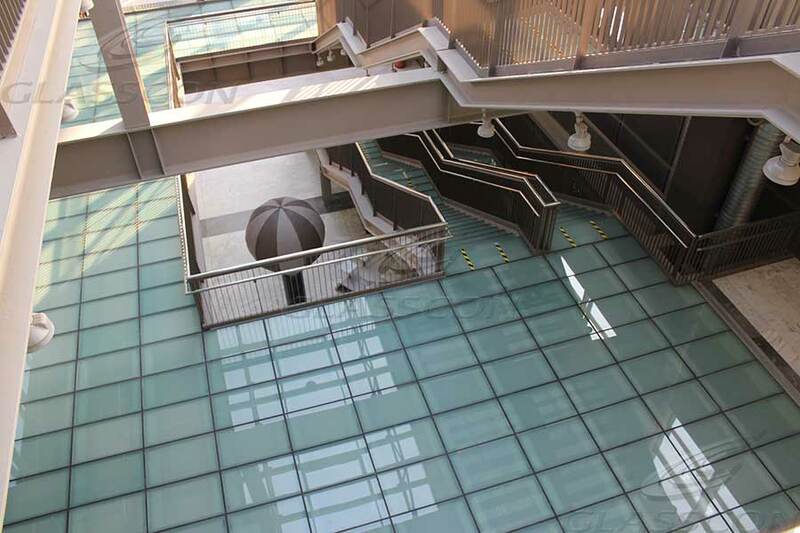 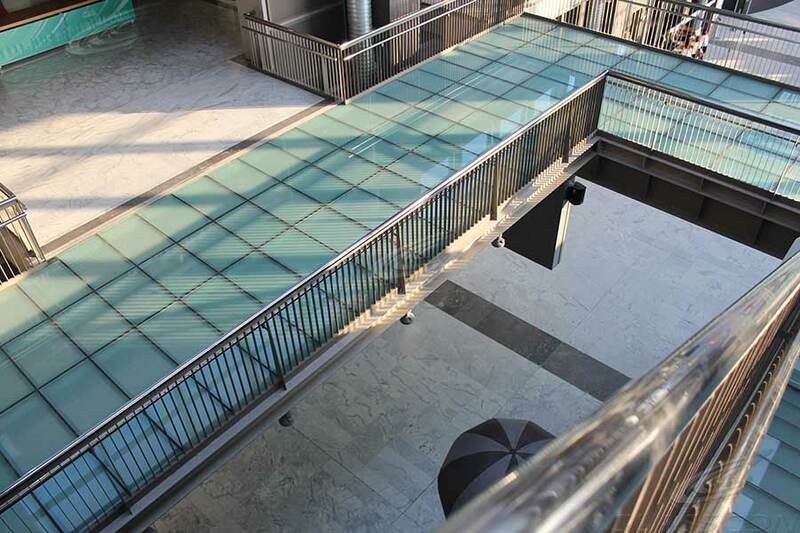 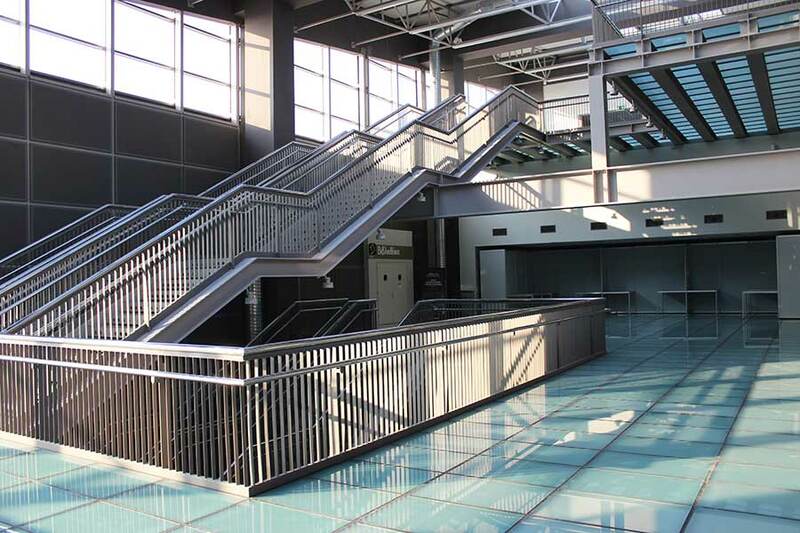 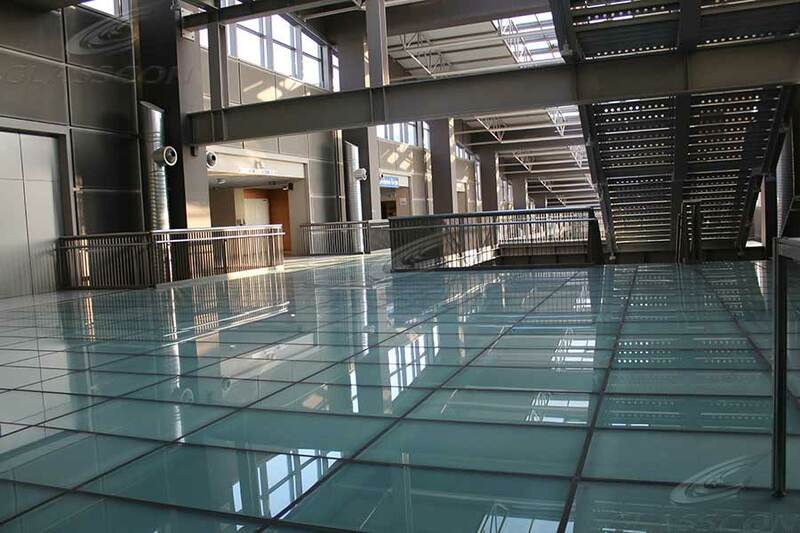 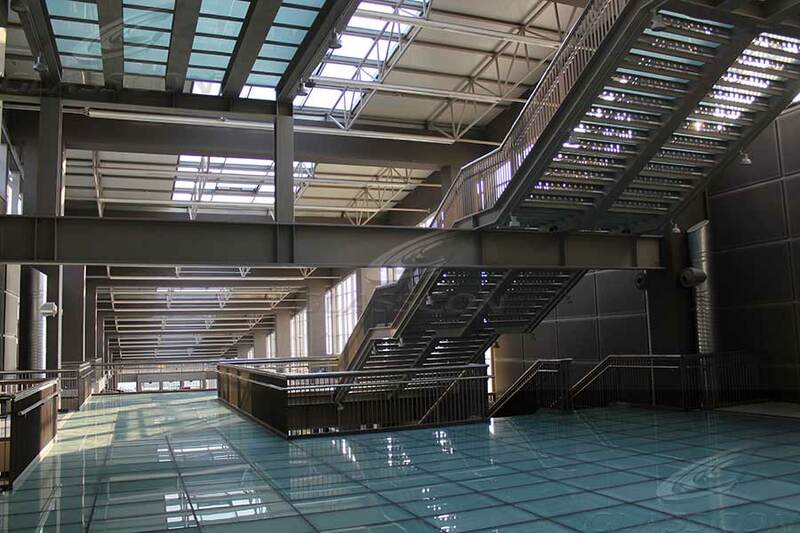 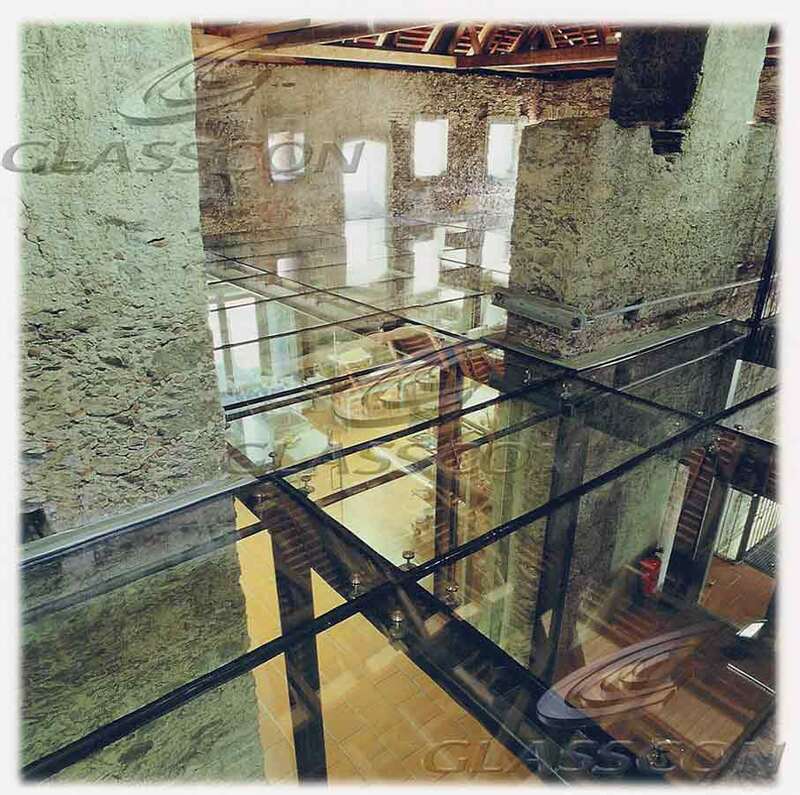 The glass floors are made of a triple layer laminated glass panels, where the top glass panel is tempered glass with an ANTISLIP glass frit. 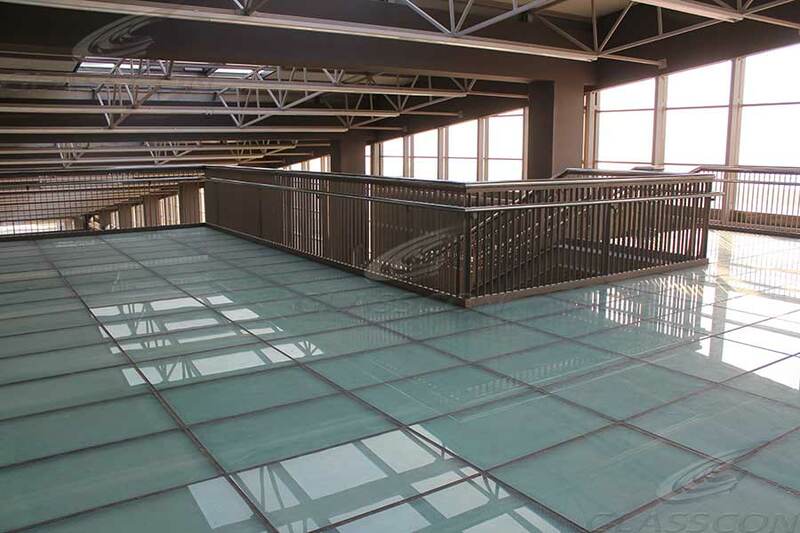 The SG structural glazing curtain wall is from Schüco. 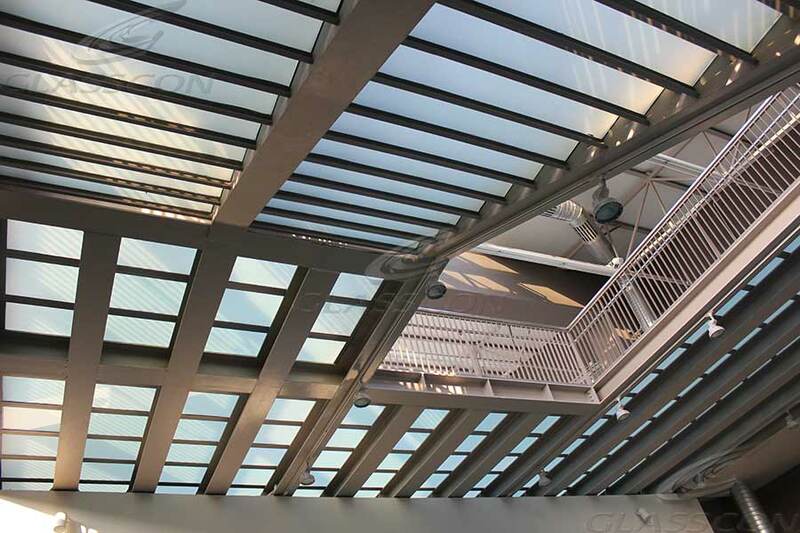 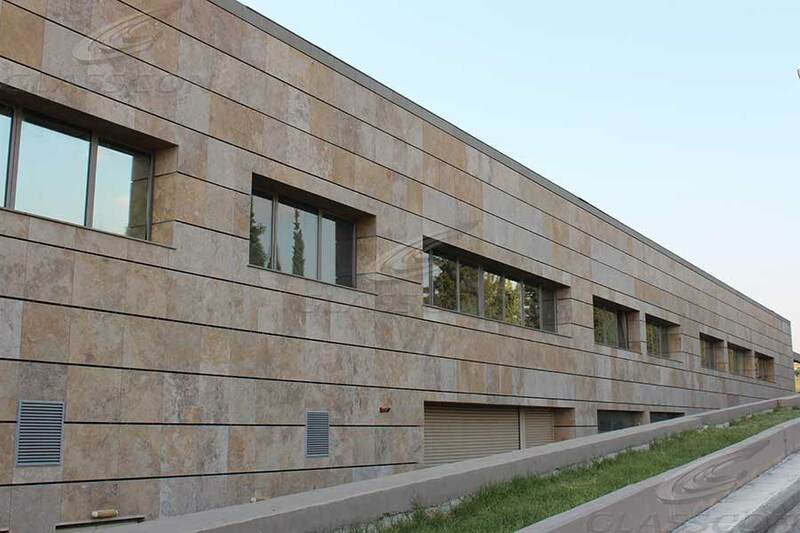 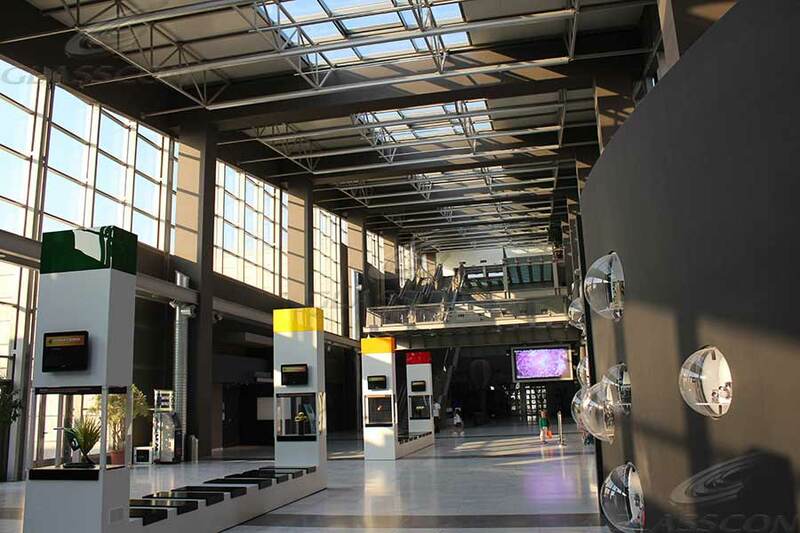 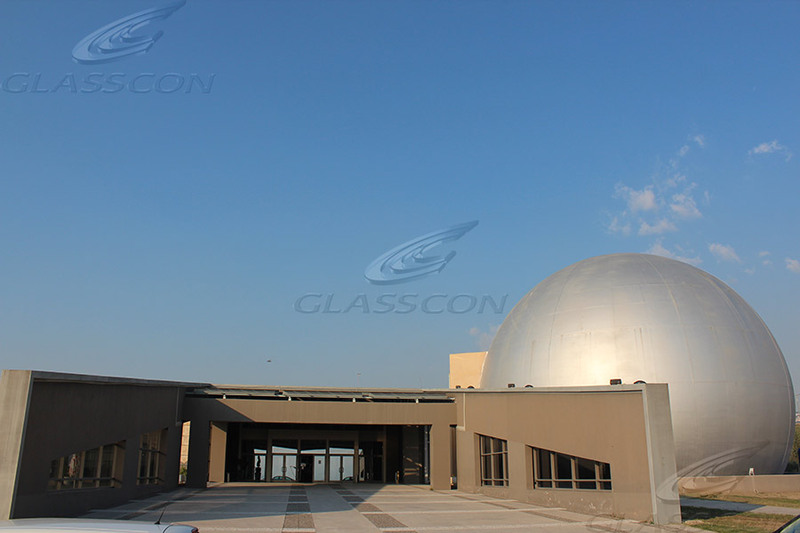 GLASSCON constructed the structural glazing curtain walls and the glass floors of a new planetarium. 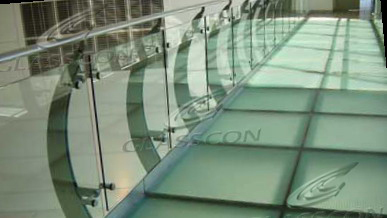 GLASSCON designs, manufactures, delivers and install all kinds of glass walkways surfaces, glass stairs, glass staircases, glass flooring systems, glass floors, structural glass flooring, structural glass floors, glass floor walking surfaces, floor glaze, fire-rated glass floors, glass floor panels, glass bridges, glass links, glass-staircase, glass-stair, glass-floors, glass-floor, glass-flooring.